The Toronto Argonauts have released wide receiver and DeVier Posey so that the wide receiver can sign a futures deal with the Baltimore Ravens. Posey was a pending free agent. TSN's Farhan Lalji was the first to report Posey will sign with the Ravens. 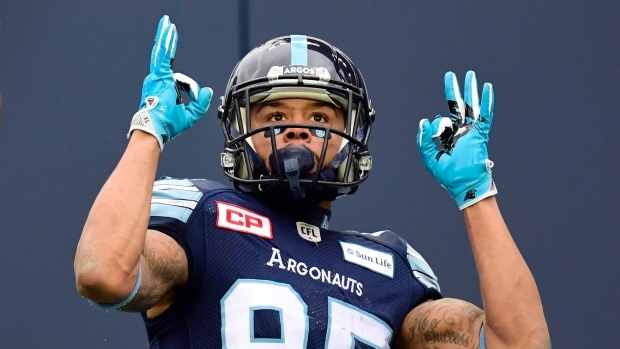 Posey played 12 games for the Argos last season, his second with the club, and finished with 52 receptions for 744 yards and seven touchdowns. The 27-year-old has experience in the NFL. He played three seasons with the Houston Texans after the team drafted him in the third round in 2012, and also spent time on the New York Jets and Denver Broncos roster. Posey had 22 receptions for 272 yards during his time with the Texans.